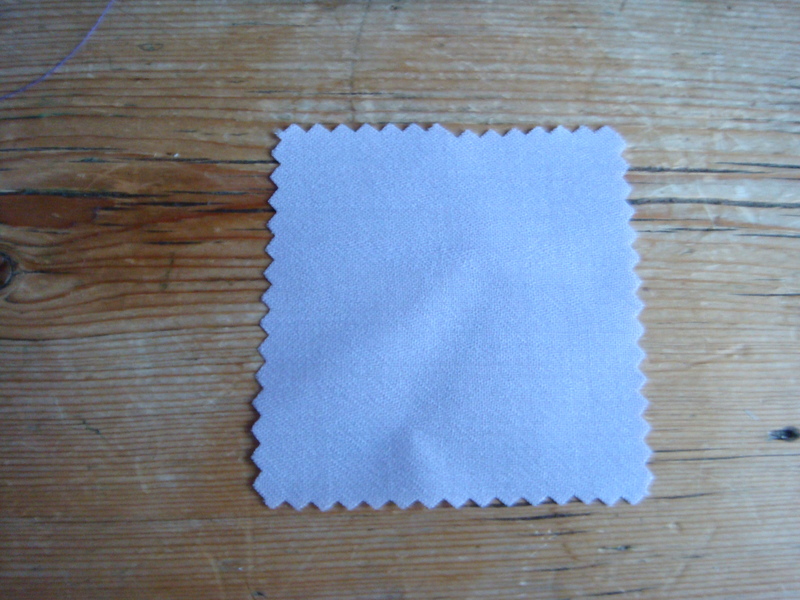 Cut out a piece of fabric small enough to fit inside the Sinamay base – preferably in a coordinating shade. 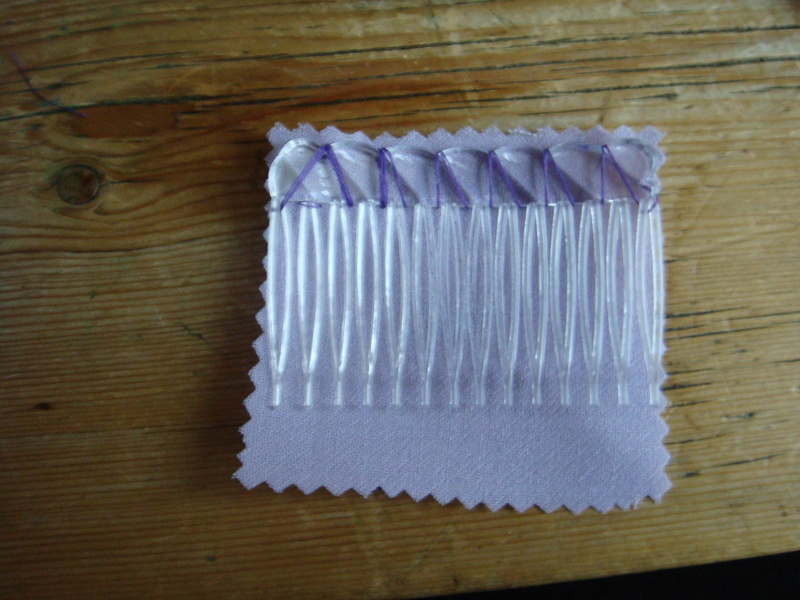 I used pinking shears to stop the edges fraying. 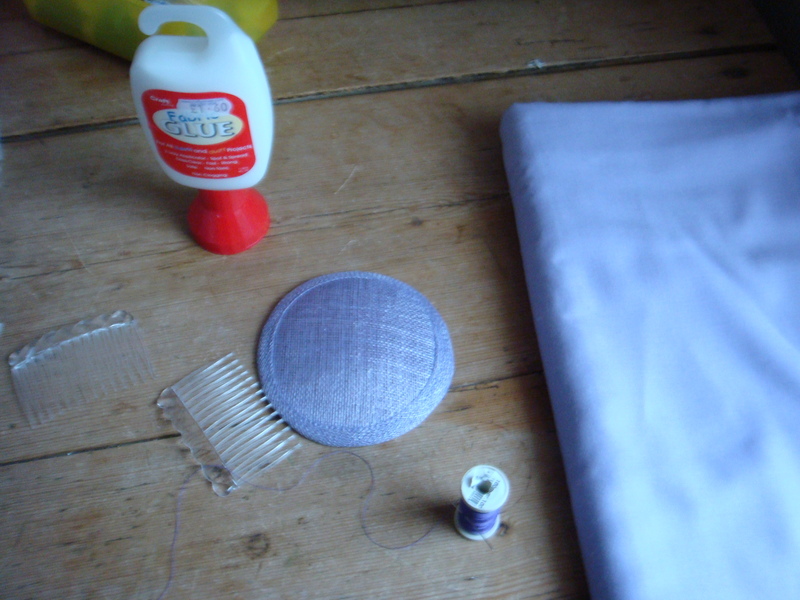 Work out where you want the comb to sit in the sinamay base and then use fabric glue to attach the fabric to the base. Ideally leave this for about 12 hours/overnight for the glue to really set. Work out how much veil you will need and then cut accordingly. Cut in a straight line and through the little centre bits of the diamond shapes. 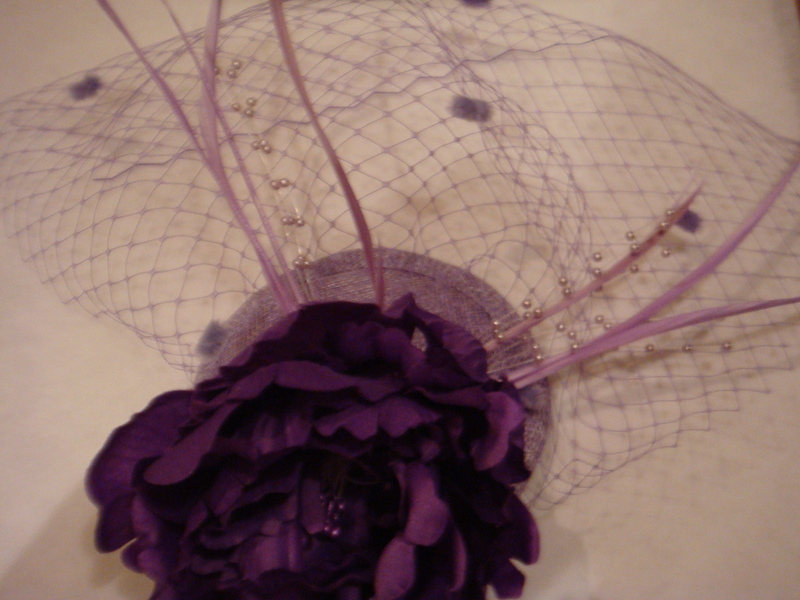 On one side of the veiling, start bunching up the veil and use a needle and thread to secure this little bunch. 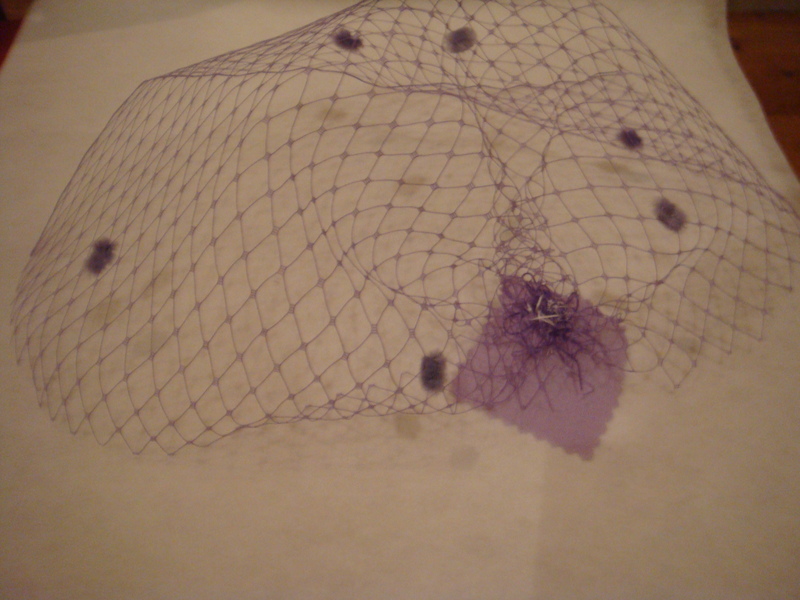 I cut out another small piece of fabric which I glued the veil to as I did not want the bunching to be seen. 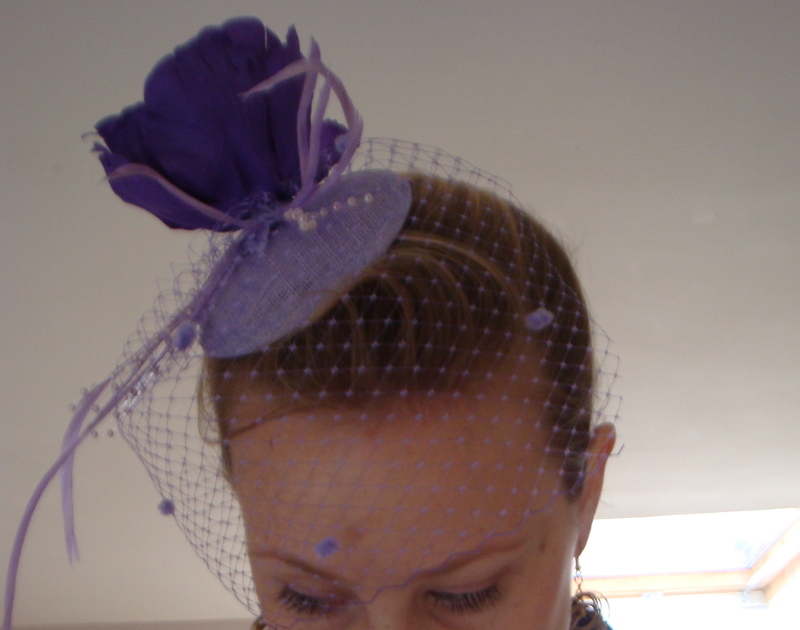 Add desired amount of feathers/pearls/flowers/ribbons, glue them into place. 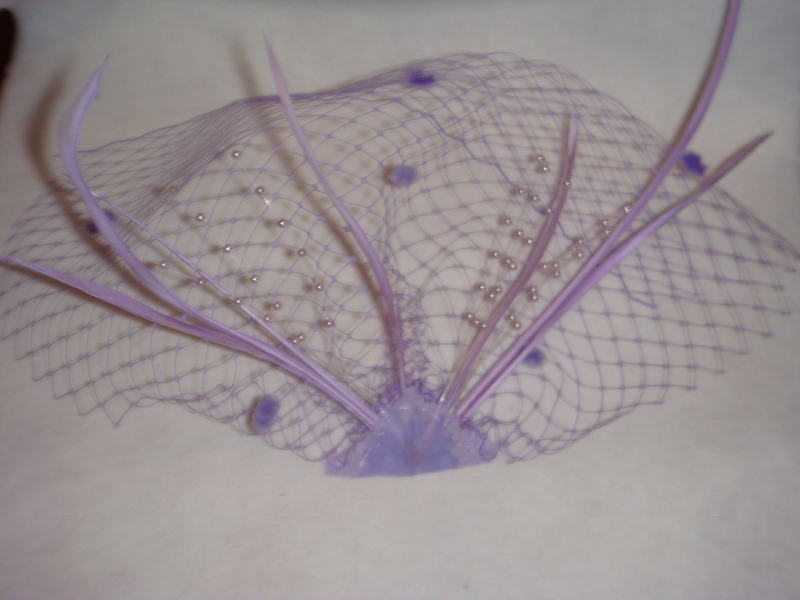 I found that the glue was taking too long to dry so I sewed around the point where the veil, pearls and feathers met. 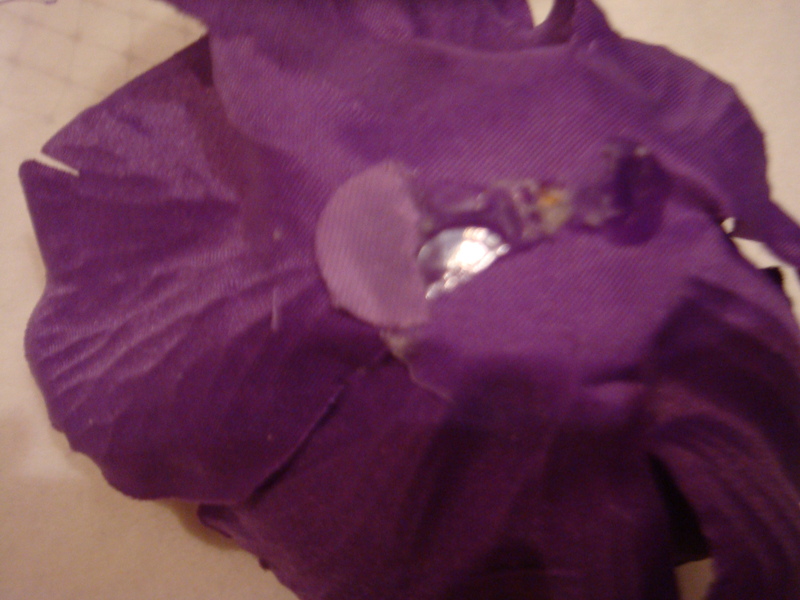 I removed the clip from the back of the flower, so it would be easier to glue to the veil. 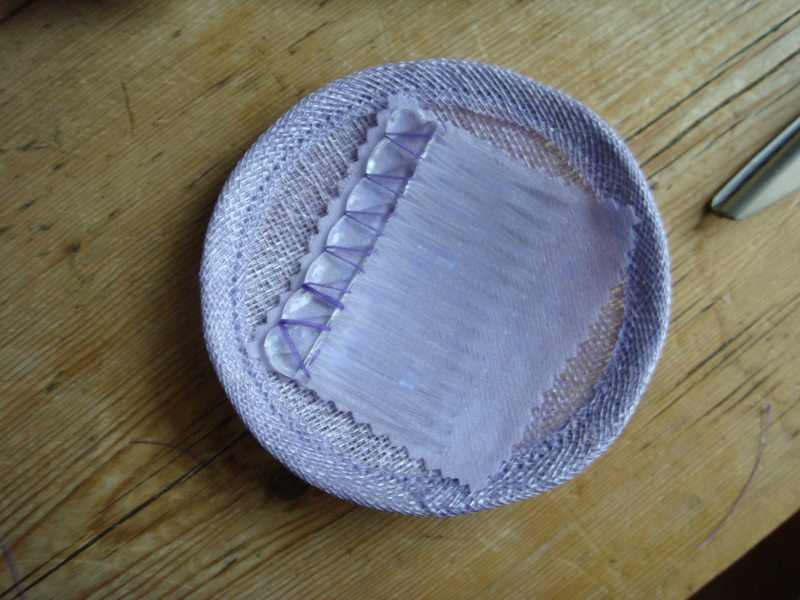 I also stitched it slightly to the base to make it extra secure. 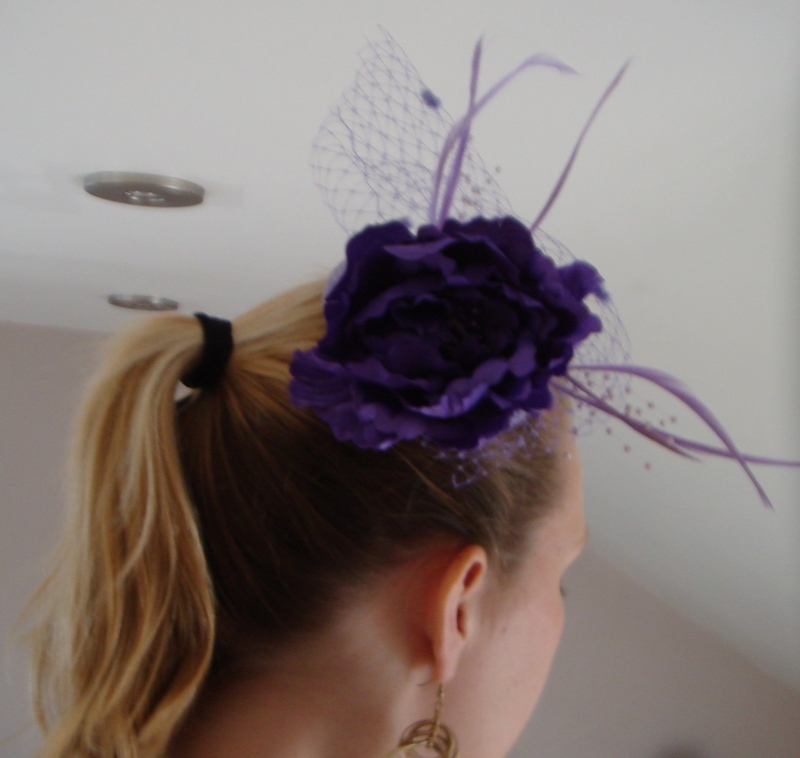 Admire your new fascinator! Go and show it off!